Company Profile: Takaya Tours is a premier, cultural tourism business owned by the Tsleil-Waututh Nation (TWN) of North Vancouver. Operating from bases in Cates Park (Whey-Ah-Wichen) in North Vancouver and (Tum-tumay-wheuton) in Belcarra Regional Park, Port Moody. 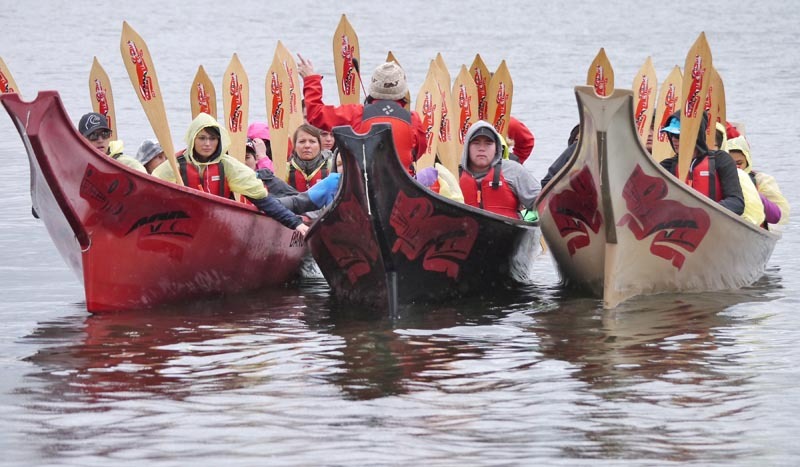 Takaya Tours offers a range of safe and exciting activities that mix outdoor adventure with an authentic interpretation of Coast Salish culture. 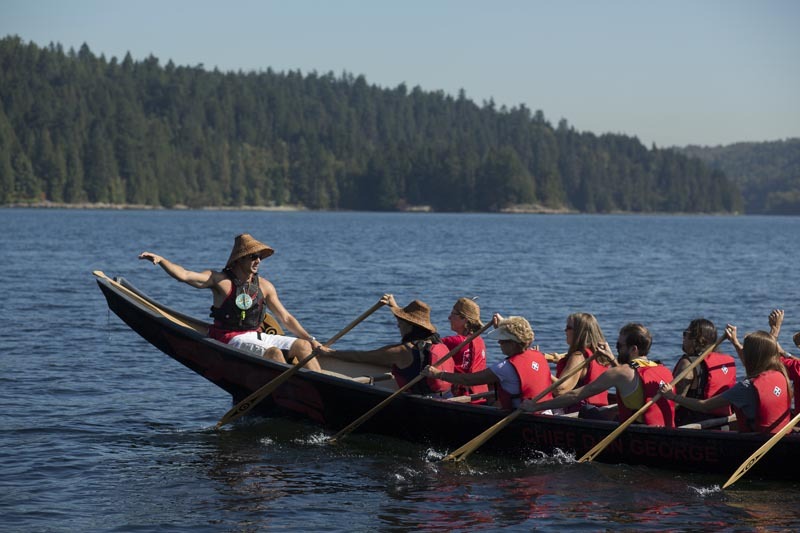 Tour description: At the core of the business are guided, interpretive paddles in replica ocean-going canoes, similar to those used by the TWN historically. 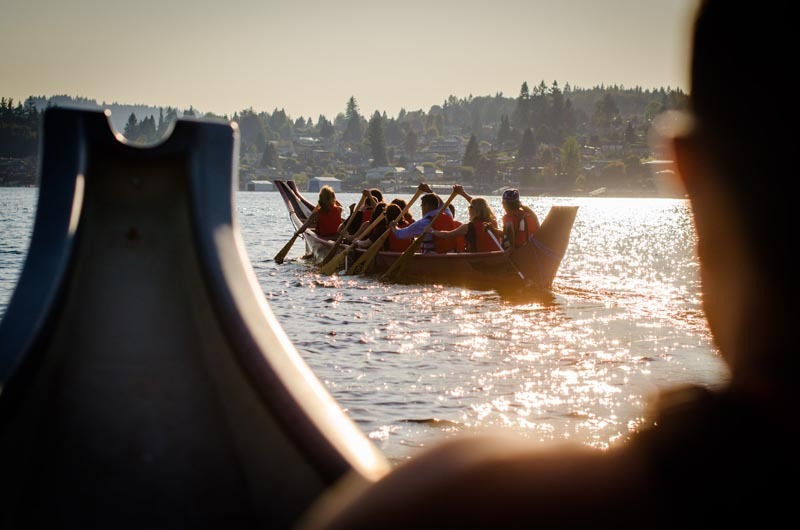 Guests gently paddle in the protected waters of the Burrard Inlet and beautiful Indian Arm while guides from the Coast Salish Nation sing songs, tell legends and point out ancient village sites. 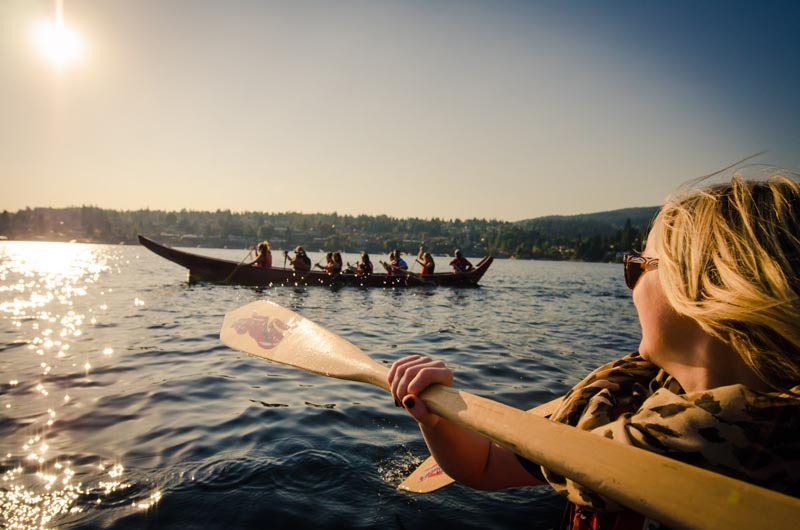 1:15 pm Northwest Coast Ocean-going Canoe Tour: First Nation guides will sing songs, tell legends and the history of the Burrard Inlet while participants paddle in the canoes.